With the baby due very soon, Ed and I decided we needed to make time for one last date night before his arrival. 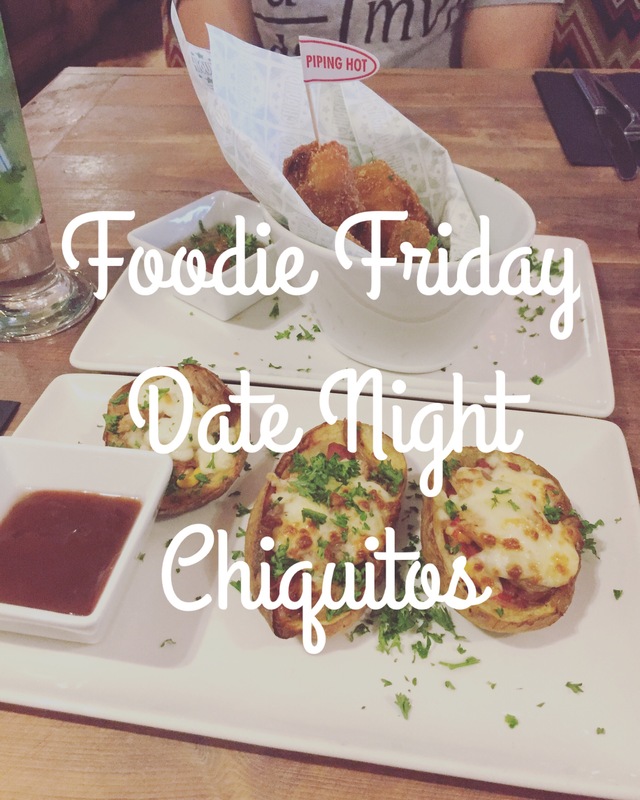 I’m very into my Indian food at the moment but neither of us really felt like a curry so instead we found ourselves going to an old favourite – Chiquitos. 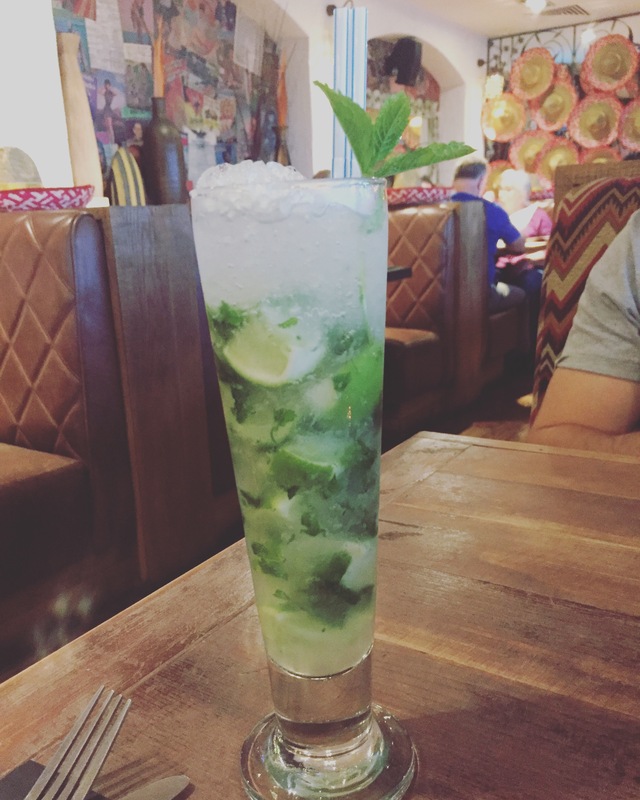 I do love a nice cold frozen strawberry margarita usually, but this time round I settled for a non alcoholic mocktail, which to be fair was pretty yummy. Ed took advantage of me being the designated driver and had a couple of cocktails himself. As we were pushing the boat out (and had Ed’s student discount giving us 25% off), we went for starters. 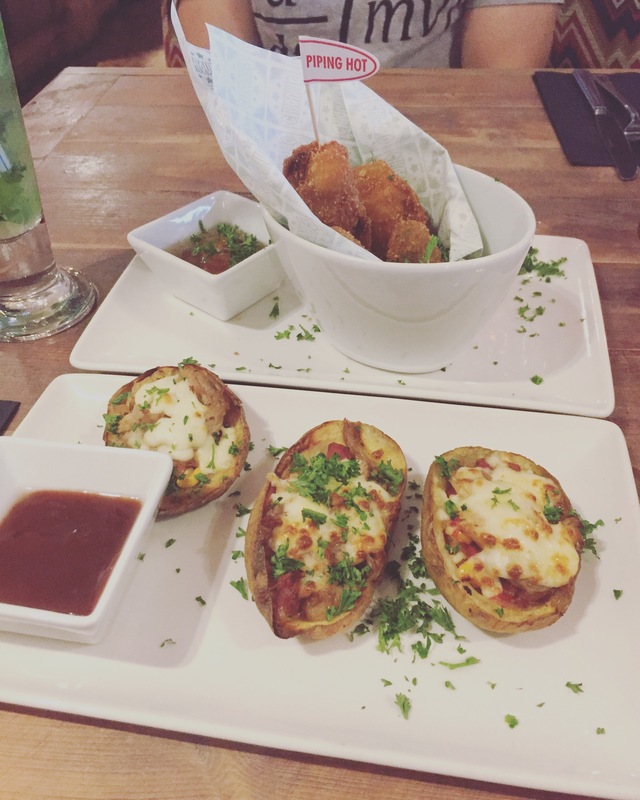 I had the loaded potato skins with sweetcorn and chorizo- they were so yummy and came with a really nice, spicy dip. Ed had Jalapeño poppers. 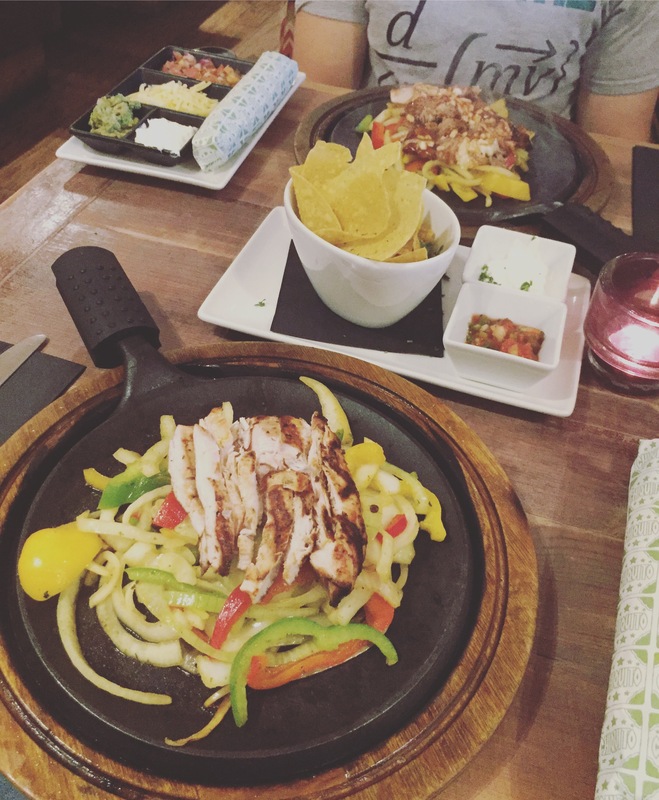 For our mains we both went for fajitas – Ed had the pulled pork and chicken and I just had classic chicken. I love that they come with the right amount of wraps, as some places are stingy (plus if you do tend to under-stuff your wraps and run out they offer more wraps and dips free of charge). I regretted my side order of tortilla chips and salsa a little after all the fajitas, but I managed to fit some into my very full belly before we made our way home for dessert courtesy of Waitrose (Gu melt in the middle puddings, if you’re interested). The rest of our evening was spent watching Sky TV (American Horror Story for the win – who says parents aren’t cool?). Our next date night will be once baby has arrived so it was nice to have this time to reflect on the pregnancy and all the changes coming up in our lives.